As we approach the end of yet another fiscal year, it is time we look back and analyse how much the realty sector has progressed over the past action-packed months. Apart from the implementation of the RERA bill, and the multitude of positive reforms it has introduced, the recent Union Budget announcement have further created a huge impact on the real estate industry. 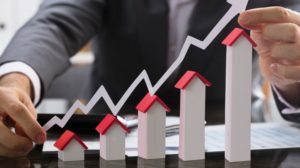 However, the eternal question running in the minds of potential homeowners still remains unanswered – Is buying a property better than renting one out? Let’s find out! Buying a home is not always the only choice for home seekers. While owning is an important step for many, renting one out can be a stop-gap solution. Keeping the peaking property prices in mind, young working professionals prefer opting for rented properties in sought-after locations to remain debt-free. Not only is this approach cost-effective, but it also comes with the added bonus of living in the heart of the city where buying a house might not seem to be a feasible option. Whether you are shifting to a new city for work or planning to start a new family, renting a house is an inevitable scenario for most Indian families. This is exactly why it is important to consider the key factors that influence your decision of opting for a rented accommodation. One of the basic factors is the rental agreement. Make sure you go through it thoroughly and make a note of the three vital aspects – the tenure, consistency of payment and additional costs. Also, make sure you are transparent about the security deposit clauses, amongst other factors. Apart from the rental agreement, there are many other essential documents to consider before signing the deal. There is no doubt that buying a house is a milestone in any Indian household. It is the physical embodiment of a multitude of emotions. Apart from providing you with unmatched security, buying a house is a long-term investment that appreciates over the years. Additionally, by opting for a home loan, you can benefit from a plethora of tax saving options and buy time to pay off your mortgage. Furthermore, the investment gives you a chance to earn a second income in the form of rent. Since buying a home is one of the biggest financial investments, there are a plethora of factors to consider before signing the deal. Start with the basics by opting for a reputed builder and performing a thorough search on the location, connectivity and social infrastructure. These aspects influence the rental and resale value of the development, which are key factors to consider while investing in a property. Additionally, as a thumb rule, make sure the total principal amount does not exceed 50% of your total assets, and the EMI does not cross 30% of your monthly income. Bangalore – Aptly named the Silicon Valley of India, the cosmopolitan city of Bangalore is one of the top destinations for real estate investment. The urban lifestyle it provides, coupled with solid factors like unbeatable infrastructure and seamless connectivity, make it the most sought-after city for both first time home buyers and experienced investors. 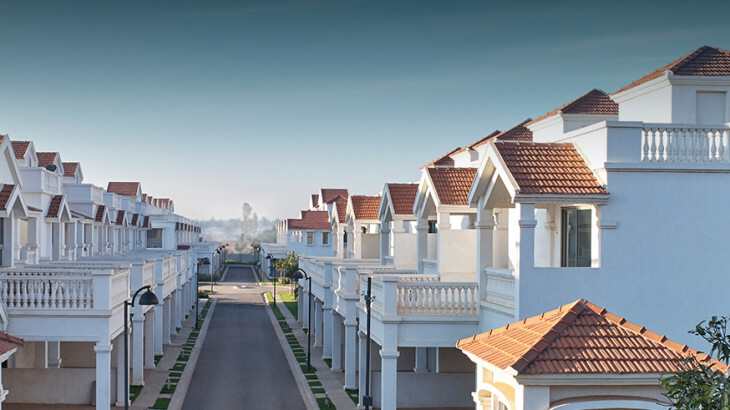 Chennai – Chennai has always checked all the boxes when it comes to real estate investment. Apart from the main hubs of the city, the suburban regions of ECR and OMR are leaving no stone unturned in attracting potential homeowners like a moth to a flame. To sum it up, the answer to the universal question of renting vs buying is a culmination of many factors from the financial situation to personal family preferences. 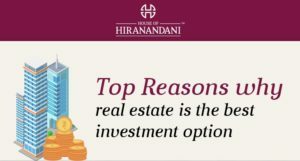 At House of Hiranandani, we truly believe in the fact that the buyer is king and run the extra mile to provide them with the kingdom they deserve. You can read through the complete newsletter here, for detailed insights.